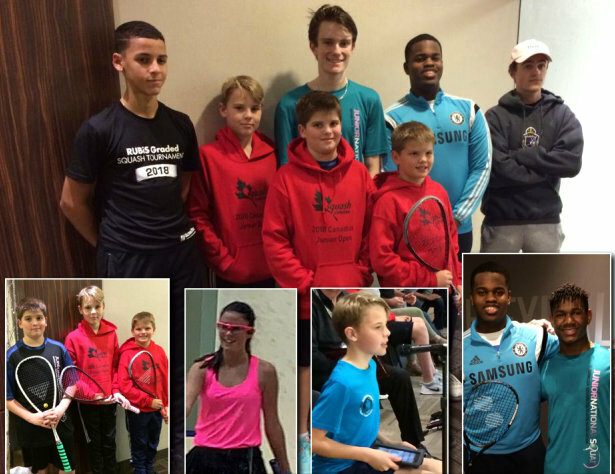 Bermuda players continued competing in the Canadian Junior Open Squash Tournament. On Day Two, in the Boy’s Under 13 Consolation Division Ethan Rosorea went down in straight games 11-1, 11-5, 11-3 to Canadian Faraaz Khan. Andrew Cox was defeated by Calder Murray from Canada 11-1, 11-1, 11-5. Owen Rosorea also went down to Calder Murray from Canada 11-2, 11-1, 11-4. In the Boy’s Under 17 Division, Matthew Elliott went down to Javier Fernandez Doddoli from Italy 11-9, 11-5, 9-11, 11-7, while Charlie Riker went down to Kiegan Grott from Canada 11-2, 11-8, 11-8. Josai Williams went down in his Boy’s Under 19 Consolation Division match 11-3, 11-2, 11-5 to Esau Resendiz from Mexico, while Taylor Carrick won his match 11-1, 11-6, 11-7 over Jose Sanchez from Mexico. Abigail Brewer went down in her Girls Under 17 Consolation Division match in straight games 12-10, 11-4, 11-8 to Jodi, Smith-Padmore from Barbados.